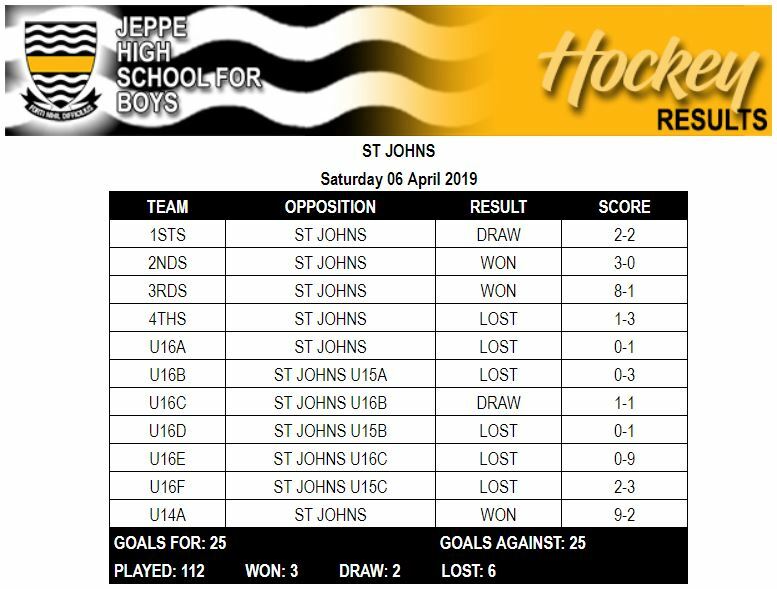 Jeppe is Johannesburg’s oldest boys’ school and has a very proud academic and sporting tradition, particularly from a hockey perspective where we have been arguably Johannesburg’s strongest school over the past 30 years. 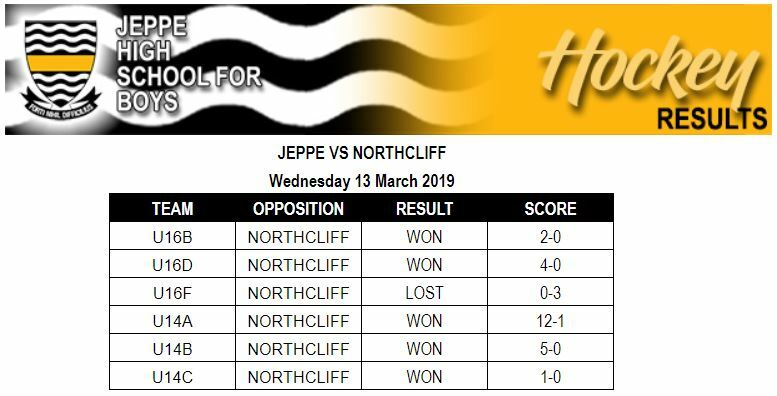 Jeppe are the current holders of the prestigious Aitken trophy and have won the tournament a record 15 times including reaching the final 9 times in the last 13 years, winning 6 times in 2004, 2006, 2008, 2015, 2016 and 2017. Our U15 team are the current holders of the Boden Trophy having won the tournament a total of 10 times including 2013, 2014, 2016 and 2017. 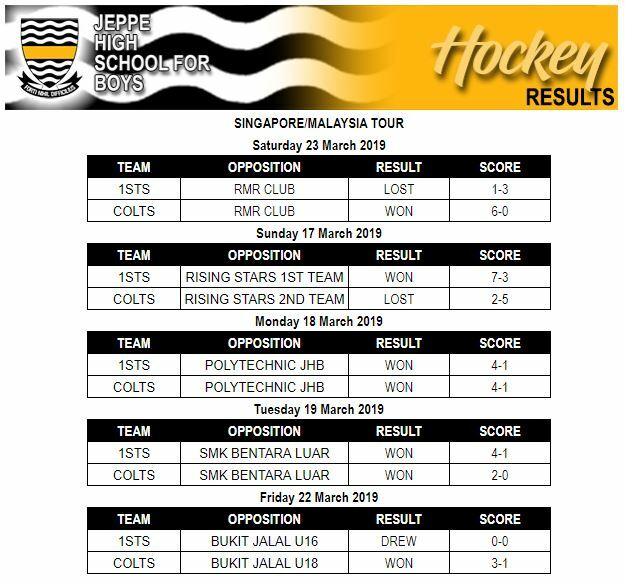 We have had more SA hockey international players (17) than any other Johannesburg based school, including three of the national teams’ most recent captains (Craig Jackson, Ryan Ravenscroft and most recently, Jethro Eustice who captained the national team vs. Austria in January 2015). Two of our old boys, Jethro Eustice and Gareth Heyns are in the current South African National Team. The Astro Turf of the school was resurfaced in 2011 and named the Warren Boden Astro Turf. Mr. Boden taught at Jeppe from 1968 to 1988 and was instrumental in developing hockey at Jeppe and Southern Gauteng. In 2017, 39 boys were selected in the various Southern Gauteng provincial teams. Jesse Martin and Eddie Ramohlale were selected for the SAU18B team, Connor Cottam for the SA U16 Squad and Thlalefang Pharasi for the SA U17 team. All four of these boys are currently in the Jeppe 1st team. The U14 division is headed by Bryan Hillock, current Chairman of Gauteng Schools hockey and Southern Gauteng boys hockey. Bryan is also a previous coach of the Southern Gauteng U14A provincial team as well as the former convenor of selectors for the Southern Gauteng U13 team and has appointed Southern Gauteng U13A coach for 2018. Hillock teaches Afrikaans at Jeppe and is senior housemaster in Sable Boarding House. Dale Jackson, a deputy headmaster and former SA Schools and men’s provincial player assists the hockey division with recruitment, strategic direction and as manager of the 1st Mr. Jackson is a Chartered Accountant by profession who completed his PGCE and teaches Accounting and Business Studies. Pete De Lange, a former National mens player and succesful coach at Wanderers Hockey Club will assist with the U16A, 2nd XI and 1st XI as manager. Mike Bechet who joined us at the beginning of 2015 from Maritzburg College heads up the U16 division. Bechet is a former national men’s selector and is a current U18 SA selector. Mr. Bechet has more than 35 years of experience coaching at 1st Team, U18 provincial and U18 national level. He is the most well-known and successful school boy hockey coach in the country. Lance Louw is our 1st team coach and current international player. Lance, a Parktown Old Boy, also coaches the University of Johannesburg 2nd side and ladies 1st side, which recently won the Varsity Cup and was also a key member of the Southern Gauteng men’s team that won the recent IPT. The Astroturf was relaid in 2011 and is a fantastic surface. All boys have access to the turf with A and B teams having a minimum of two practices per week on the Astro. The hostel boys also have access to the Astroturf when it is not being used for practices or matches. 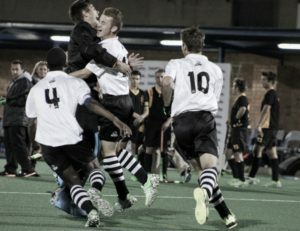 In addition, Jeppe Quondam, who have won the men’s premier league more than any other non-university side in the past 30 years, currently play in the Premier league and so Jeppe schoolboys are exposed to premier league hockey from a very early age whilst still in school. In addition, Quondam practice at the school once a week and so the schoolboys are able to learn from provincial and national players on a regular basis. 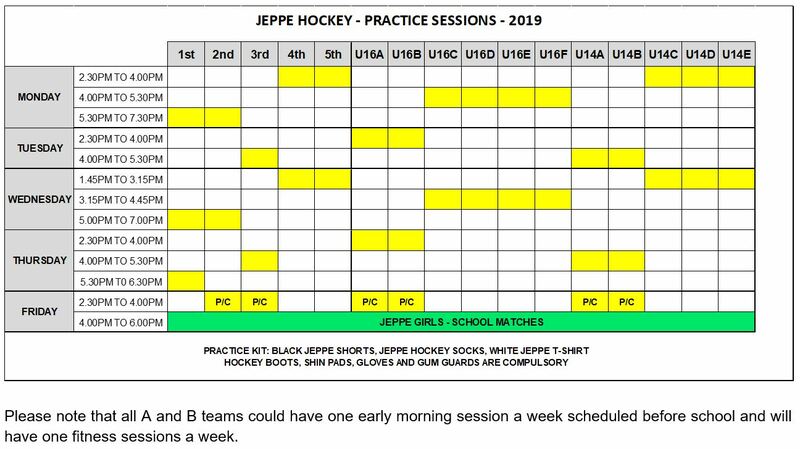 Jeppe currently fields 15 hockey teams and with the growth in the sport at the younger age groups this is expected to grow even further. Each team is allocated a coach and formal fixtures are arranged. Each team plays a minimum of 15 games per season. 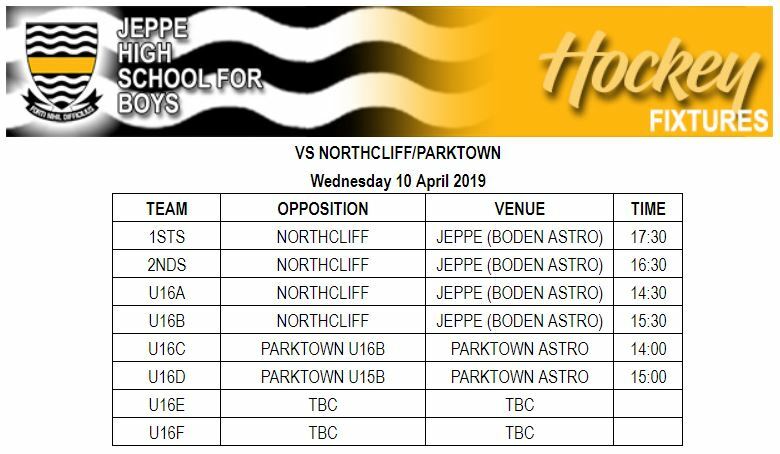 In addition, Jeppe is a core school of the annual Nomads Festivals and the A teams thus regularly travel nationally and play against the top schoolboy teams in South Africa. We also occasionally host touring teams from abroad during the season. 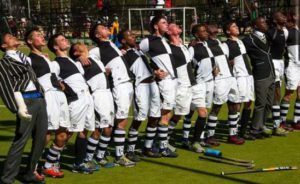 There is an annual away fixture against either Westville or Northwood High School which every hockey player participates in, thus giving even boys in the lower teams the opportunity to go on a tour each year. Our U16B, C, 2nds and U14B teams all tour every year. Further proof of how we give great opportunities here at Jeppe. Hockey is a fantastic sport that can be played for many years after school and which can form the foundation for lifelong friendships. 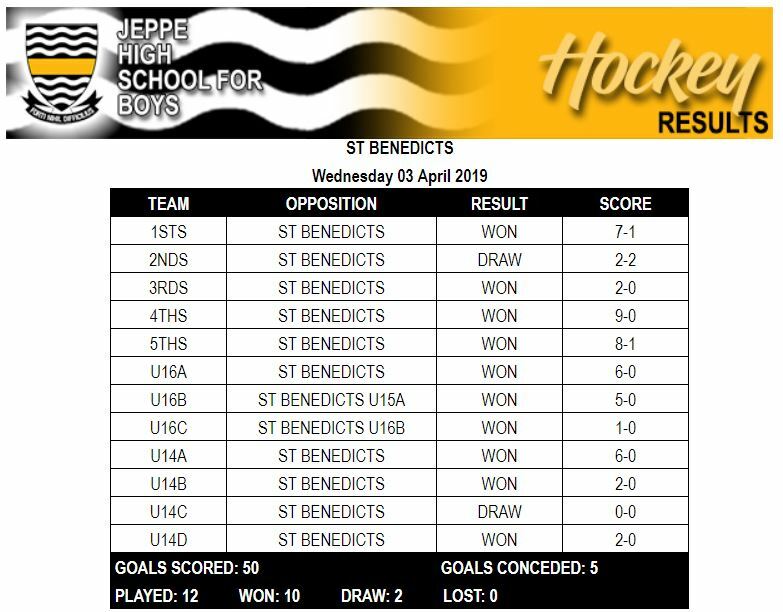 It is one of Jeppe’s most successful sports and caters for the “social” as well as provincial player from a facilities, coaching and enjoyment perspective. We look forward to welcoming you into the Black and White family and seeing you on the Astro.